It gets more worrying each day, by the by is anyone faking the boxes of issue or documents as that could be quite a lucrative way of marketing fake orders? I never saw fake documents, but they do fake boxes for high classes. Most of them are not that good, would not fool collectors. I saw it In my opinion is OK. Only the War Decoration is missing The edges are not as black as i have seen on some fakes See the fake Commander on top of this page. 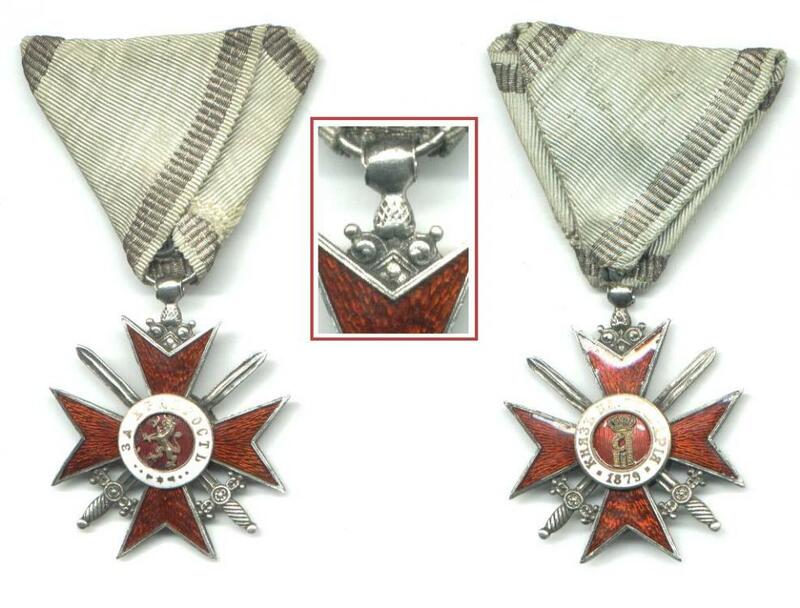 There are some marks on the swords on the obverse of this 1st Class Cross It looks they tried to mask them. It means they were aware that the Decoration is missing. Agreed. This cross is fine, green War Decoration wreath is lost, other than that it's normal. It looks like Schwerdtner manufacture. Regarding Paul's post 51 above, so far I know of only very crude box/document forgeries. New World's post 36 in this thread depicts one [the major?] type of fake cases or boxes of issue. 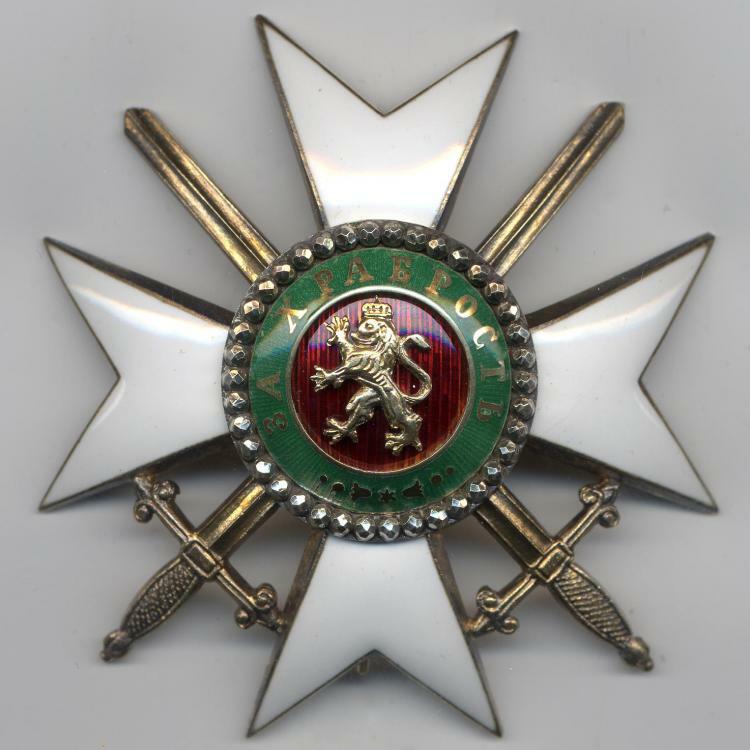 Cassia/Victor & others also offered Grand Cross, First Class and Grand Officer sets in newly made red boxes with either just a sloppily applied gilt Ferdinand cypher on the outer lid [image below] or that same cypher die above the name of the Order. These usually had a poorly sized round insert in the case bottom pad for stars. A couple of original Grand Cross and Commander boxes with crudely replaced 'pads/nests' for insignia or inner lid liners are around too -- these would not fool most collectors. 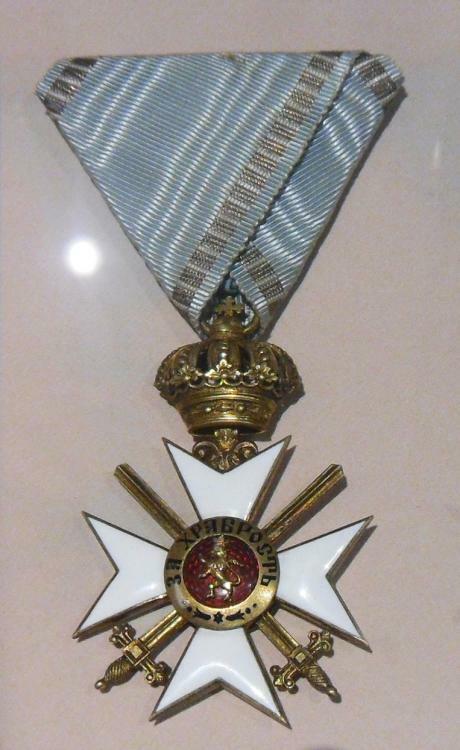 In Sofia 1996-7 [economic collapse years], blanko republic St. Alexander and Military Merit Order documents could be bought cheaply—5-10 U.S.$ or 10-15 DM. These not seen after about 1998. I recall seeing only 2 or 3 republic St. Alexander documents that appeared to have been blankos subsequently completed. These had the same 1946 dates seen on documents given to Red Army personnel but the personal info and rank were typed rather than in script. Whoever typed them had a heavy hand as parts of characters like я, д or а almost punched the document stock. I just to add to the topic. Yes, Victor and others managed to sell few fake High Classes on Ebay and later on different dealers in EUROPE. Regarding the boxes - for me it is OK to have an rare original box with a replaced lining as long as long as the collector is aware about the fact and the price is right. The God thing is that I did not pay a fortune for the fake/copy Star I made a very low offer and "surprisingly" Victor accepted it I found later on why..but a little bit late he was gone I hope for good. Graf--is it correct to state that the distinguishing features for the fake Order for Bravery Star 1st Class are the design element of the sword grips [stippled and knurled detail] and the reverse central boss/protuberance? Is the round 'shiney' area discoloration from a label or a different piece of metal? Is the center enamel soft? Thank you!! Somewhere [maybe in a 1970s Klenau auction--will attempt to find?] 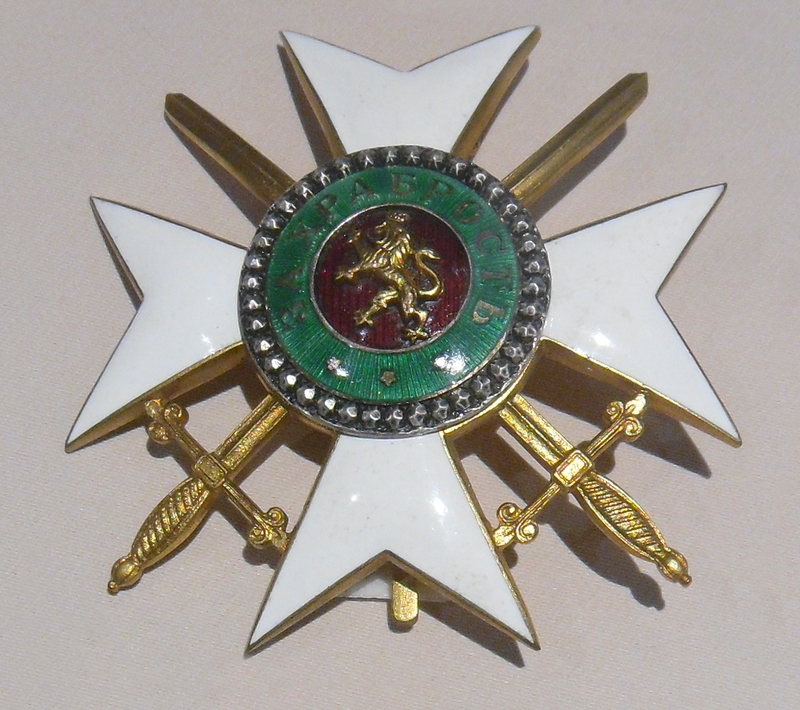 I saw a 1st Class Order for Bravery Star with BOTH sword grips knurled. At one point Victor had a star with 'diamonds' set in the ring around the motto. Main distinguishing feature is soft white enamel. I had this fake Bravery in my hands (bought it from Viktor as original, was able to return it and get my money back) and it's very hard to determine from the pics that it's a fake. The quality of reproduction was excellent! I even showed it to some dealers/collectors in Bulgaria and they could not tell from the pics. But the enamel was instant give away! Part of the problem is scarcity of 1st class, few people saw real thing, there's nothing to compare it to, only photos from the textbooks. This factor plays to fakers advantage. New World is correct The main problem is the soft enamel white, red and green. New Word is right that if you never seen the Original and/or hold it just from pictures one can be fooled. more pictures of the "better Fake"
That's the one Victor sold to me! I managed to return it. From what I see you are safe. The only thing we do not know whether the Document and the cross are for the same person.Sometimes dealers/Sellers "marry" such items for a little bit more profit as a Set. The problem is that all Bulgarian Orders and decorations are not named. Unless you have a very strong provenance that they come from the family of this person it is very difficult to know. -Order of St Alexander -mainly Stars. 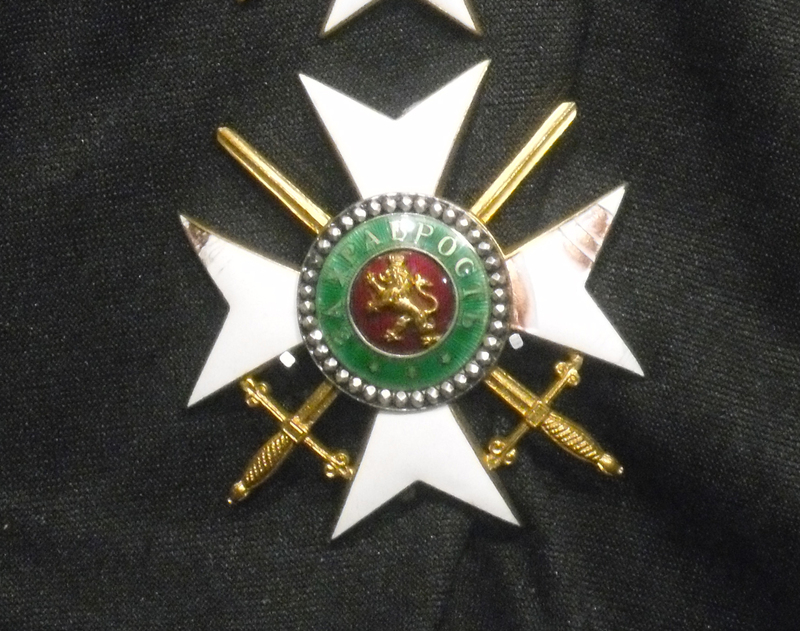 Crosses are "upgraded" from Commander Class with Green enamel to a First Class -see some of the listing in this thread Sometimes crosses are mutilated to match a Star. - Different Badges from the Royal Period, however i collect only Bulgaria Royal Red Cross badges and Documents and I cannot make any comments. The Civil Merit Commanders and lower Classes are the last on the fakers list due to the relatively low prices. Why bother to fake and spend time only for few backs? As Graf said - you have nothing to worry about! Both document and award are original. You'll never know for sure if they were for the same person, but that applies to most awards offered to collectors. They are from the same period, so likely they were to the same person. 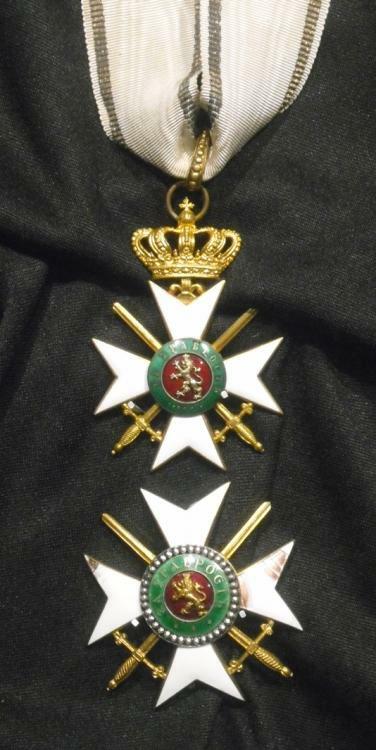 As I started my collection not long ago (in 2013), I'd like to have your opinion on an unusual Bravery Order that I saw on Ebay.com. Yet there are differencies even between those two. I am even wondering if in generalit there exist original pieces from the last Alexander I and 1st Ferdinand emissions that deviate from the "classic" two "7dots" models, or it's all fakes. Many thanks in advance for your kind help and advice ! The VicMart as far as I know is still in action, however they do not sell much Orders and decorations now. Many thanks for your help ! Its really important to have the opinion of someone with a lot of experience. The first picture shows a classic example, while the second one shows an order that was sold on the Emedals site a few months ago. The order looks perfectly fine to me, but as you can see the enamel has no pattern. While I was hesitating, someone bought it. Could you please share your opinion on this one? Pehaps it's just the enamel that was replaced with a new one if the order was in bad condition for sale? It is believed to be one of the very early Ferdinand emission pieces -" with the Lily connection between the cross and the ribbon ring. Both crosses are OK The one on eMedals site was a very nice one in near mint condition and I know the person who did not hesitate and did buy it. Not me. He is an advanced collector. eMedals is a good site, however sometimes they also make judgment errors. The main give away of the fakes is the soft enamel and not very well defined letters on the central medallion. Graf is correct - the Military Museum in Sofia have loads of decorations, some of which are unique and are not displayed in the permanent exhibition. As far as I know, the Chairman of the Museum itself is a dedicated researcher in the field. Even so, there are many incorrectly displayed orders and medals - wrong ribbons or sets, made up of a badge and star from different periods. While the incorrect ribbons could be down to the people who once wore the decorations, the incorrect matching of the sets is something which can always be fixed by the museum associates. The best (which is actually worst) example of an incorrectly displayed set is from the window display where the so called personal collections of Bulgarian monarchs are shown. 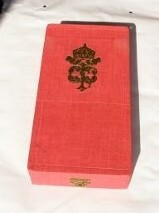 Below is a picture of one of the 1st class sets which is said to have belonged to Prince Alexander I. Look at the star - it's from the so called 'three dots' emission (post Great war period) which is decades after the actual abdication of 1886. I assume this is due to the fact that they do not have the unique 'skull and bones' rounded star and decided to put something else instead. Also, attached is a close up of the star. As for the order with the lily - please note that according to researchers there are two subtypes of these orders - one is with smooth edges and the order - with added decorative notches, which might suggest different manufactures or at least different batches. However, this would not explain the missing/hidden pattern on the one from eMedals. In order to contribute to the above posts in regard to 1st class star - another image of a 'three dots' emission star from the same museum. The sword handles do look well defined, even for a post-war issue. 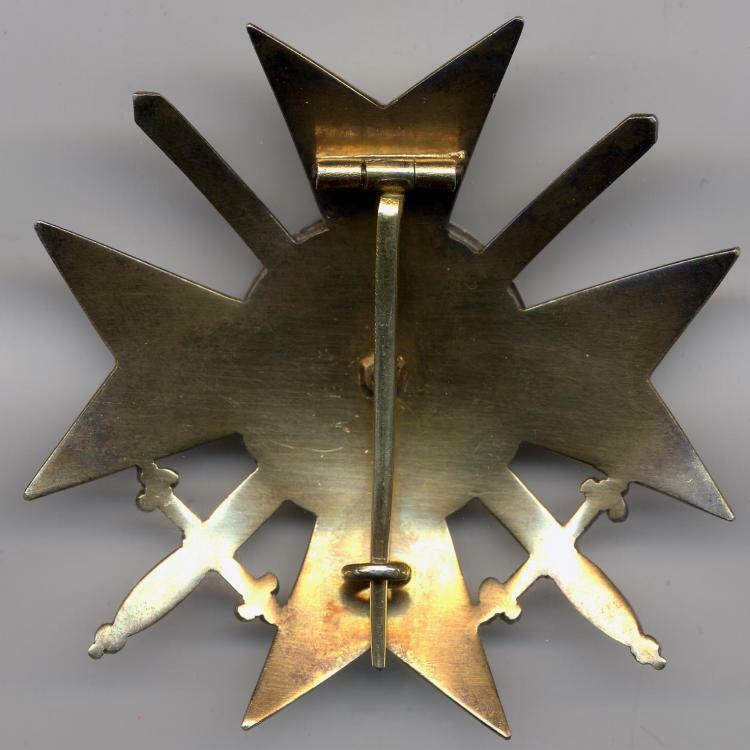 Also, a photograph of a very unorthodox 3rd class badge. I have not seen anything like this, have you? Thank you for the post It is exactly how I felt it when i was vising the Museum. Do you suggest that the 1st Class Star with the three dots on your second last picture is post -war production i.e. Museum quality reproduction? If is added in recent times then it is a little bit worry. Those pieces are reminder that the rule were not followed all the time. I have in my collection few of similar pieces some with makers "errors" One has to separate them form the fakes. Although I'm perfectly aware that at the time of the 7 dots emission there was yet no 4 grade 1 class star, everithing looks too beautiful on this piece to be a fake. 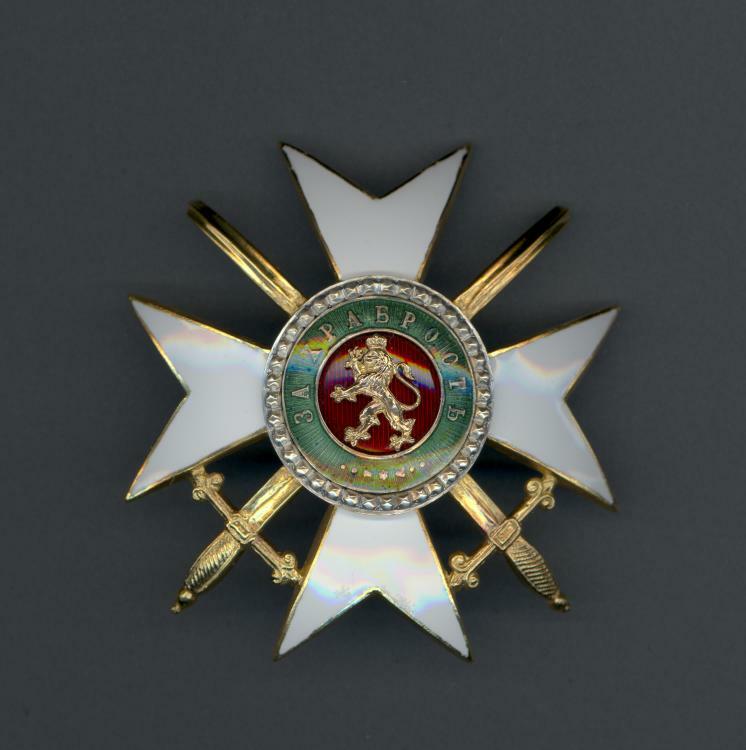 The central medalion and the lion are like form regency orders.